2: The SOT-143 package is compatible with the TC1270, TC1271, TCM811, and TCM812 devices. 3: Custom Reset Trip Points and Reset Delays available, contact factory. 4: The TC1270/1 and TCM811/12 1.75V Trip Point Option is not supported. 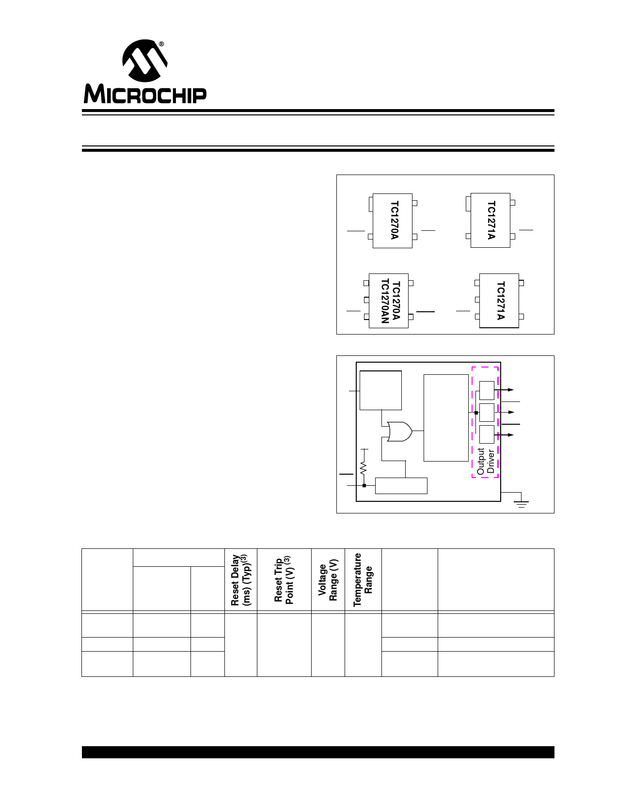 Â© 2007 Microchip Technology Inc.